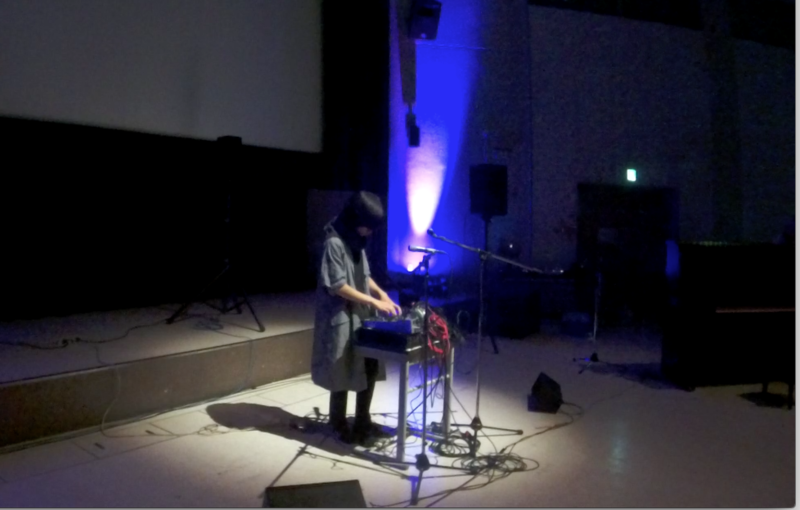 2017/06/10 Live Performance at Tsukuruto in Kyushu University Ohashi Campus Multidimensional Hall. Live Performance with only Mixer,2 Microphone and 2 Speaker. In addition to the feedback inside of mixer, Feedback from Speaker into Microphone was used. Attempted to generate varius tone from noise to musical sound.